Once you have your humidifier it is important to place it in your home or office in the perfect position to get the best results. Always place your humidifier a reasonable distance away from any draperies and furniture. Keep an eye on any dampness of the carpet and flooring around the humidifier that might cause mold and bacteria and mold that makes it more difficult to breathe. Another vital part of making sure you are breathing in the cleanest and purest air you need to keep your humidifier clean. By regularly cleaning your humidifier, it is gets rid of mold and bacteria that might cause an attack and make it more difficult to breathe. If you use water with low mineral content it will help prevent mineral build-up. Dust mites will thrive in space that have low humidity level, while high humidity will encourage the development of bacteria and molds. It is therefore important to keep your humidifity around 35% to 40% is be sure that the air you are breathing is the best. Providing enough humidity for a room up to 2,500 square feet, the Essick Air MA1201 Whole-House Humidifier is perfect for a whole house or office space. With a digital humidistat that can measure the accurate humidity of the air, this humidifier can maintain the most suitable humidity levels for home automatically with multi-speed controls. With an auto shut off, you can sleep with this humidifier on as it turns off when the water in the tanks runs out. 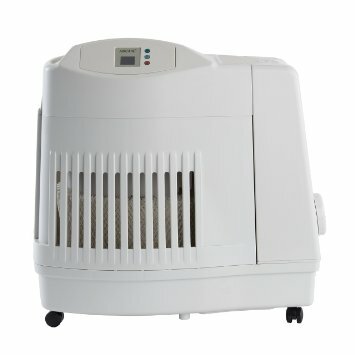 The humidifier also has an evaporative wick that can prevent minerals and dust from building up in the standing water. 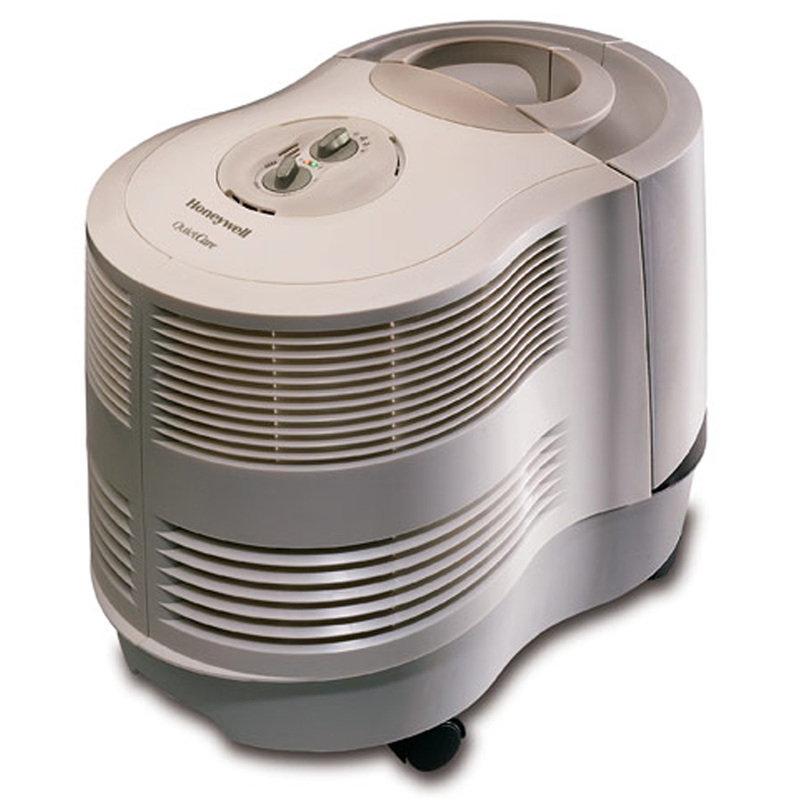 Honeywell’s Germ Free Cool Moisture Humidifier is incredibly efficient in establishing a clean breathing environment. 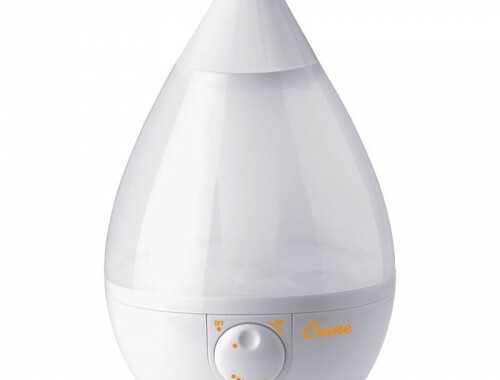 Used specifically for people with health problems, or those trying to prevent health problem, this humidifier is an excellent product to use throughout your home. With Self Regulating Evaporative Technology, the Honeywell Germ Free Cool Mist Humidifier eliminates up to 99.9% of bacteria, mold and various other harmful allergens. This humidifier is also 30% quieter than rivalling humidifiers, making it almost unnoticeable to you and your family. The appliance comes installed with an Air Washing Filter and an Antimicrobial Treated Filter which means you don’t need to buy new filters. The Honeywell Germ Free Cool Moisture Humidifier is an ideal fit for larger sized rooms, and is capable of running up to 24 uninterrupted hours per filling. 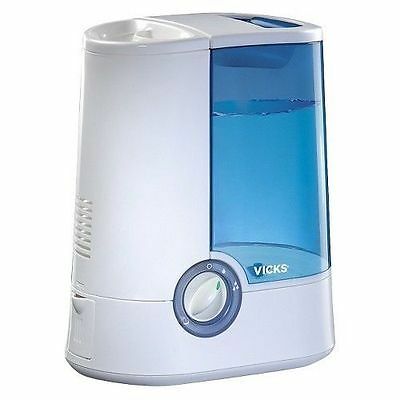 Having long been associated as a number one nasal congestion reliever, Vicks has expanded into creating their own line of humidifiers. The humidifier provides relief from the discomfort of coughs and colds as well as clean, breathable air that is free of germs and bacteria. The Vicks Warm Mist Humidifier with Auto Shut–Off comes with two comfort settings which can be changed according to the level of moisture you need in the room, or the strength at which the Vicks VapoRub needs to be released. Releasing a mist that is up to 95% bacteria free, asthma sufferers will find this extremely beneficial. With the option of sleeping with this humidifier on as it has an automatically shuts-off once the humidifier runs out of water, you can feel immediate effects when waking up in the morning. If durability, versatility and design are anything to go by, the ReMEDies Ultrasonic Cool Mist Humidifier rightfully holds its position as one of the better humidifiers in its price range. If you are willing to spend just a bit more for this three-in-one humidifier, you will not be disappointed by the quality of this product. Receiving noticeably good reviews from most customers, including myself, this humidifier is an excellent example of getting exactly what is advertised. 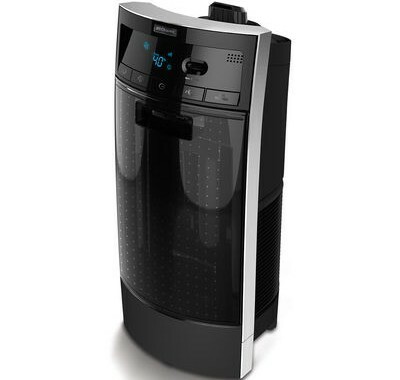 This humidifier performs three distinct functions which set it apart from its competitors. Not only does it humidify the air in your home or office, but it also has a seven color-changing nightlight, and the option of using it with soothing essential oils. 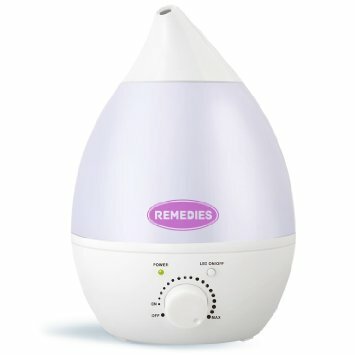 If the humidifier is being used to combat symptoms of congestion, decongestants such as Vicks oils are perfectly compatible with the ReMEDies humidifier. 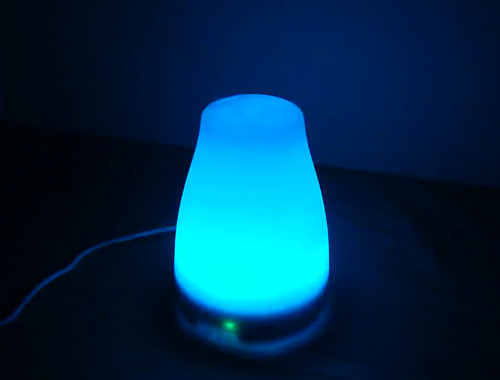 Features such as the built in seven color-changing nightlight can be set to your chosen color, or can be put on rotation, which acts as a perfect nightlight for children. If this feature does not appeal to you, there is the option to switch it off entirely, and only use it for the purpose of humidifying. As previous humidifier owner, one of the main selling point for this one was that it automatically shut-off when the tank was empty. My older humidifier did not have this function, causing it to burn out.